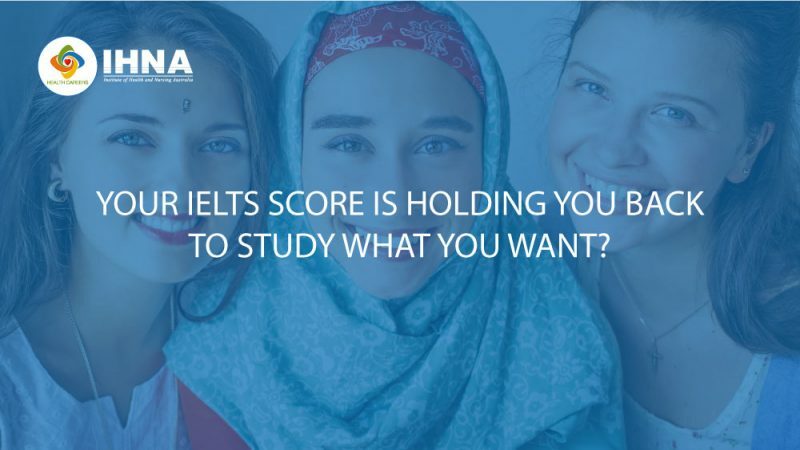 Can't Get A High Ielts Score To Get Into University Or College? You were thinking of going to Australia to study, and you have been planning for a long time about what to study and what career path you want to pursue. You found the university or college you wanted to study at, you found out that the minimum required overall IELTS score to be eligible to get into the course you want to study. You go on to take the IELTS exam, and finally, you are about to found out your score, then suddenly get surprised that you didn’t get a high overall IELTS score. Now you are probably thinking that all your dreams to study abroad has all gone away? Lucky for you, there are a lot of ways to get the IELTS score to help you get an enrolment into University or College. This will save lots of time and money to make the right decision that will help you improve your overall IELTS score. After evaluating yourself, you will either realise that your English is good but you just panic during the exam, or your English skills are bad and you need to work on improving your language skills. English Language Schools can help you with both improve your English Language Skills and prepare better for the IELTS exam. which aims to provide students with intensive classes to improve their English language skills over 56 weeks. This course is also a good start for those who wish to improve their overall English skills for work, study or social purposes, this is suitable for short-term and long-term students. Learning Australian culture and way of life. The key skills students will learn in the ELICOS for Academic Purposes are relevant to areas such as IT, Business, Art and Humanities, and more. Learning important time-management skills that are essential to help further your study. Helps you prepare and practice to speak in public in English in a formal manner. Helps students get familiarised with Australian classrooms and learning environment. Learn how to properly use references and cite your sources to over plagiarism. Participate in University-like group projects. In most cases, taking the ELICOS English course alone can exempt you from taking the IELTS test and you may be eligible to get into the University or College. If you think your English skills are great but you freak out or panic during the exam and you end up making silly mistakes. Then the IELTS Preparation Course is suitable for you. The word IELTS stands for the (International English Language Testing System), the IELTS exam is one of the most of important English Languages tests that Universities, Colleges, and Immigration departments use as a measurement of your English Language skills, along with other English Languages tests such as TOFEL, OET, and PTE. Getting a high score in any of these tests can make a difference to what you can study, work or live, this is why it is important that you should consider taking the IELTS preparation course. The IELTS preparation course will help you improve all the four areas of the IELTS exam (Listening, Reading, Writing and Speaking), and you can choose to take as many sessions as you want. Health Careers Language Academy (HCLA) offers a number of English language courses including the IELTS and ELICOS program, which can help you improve your English skills.